Big and Bushy . . .
After two vacations (to Connecticut and the Olympic Peninsula of Washington state), and several fishing trips, I have returned to my search for West Village wildflowers. Two examples quickly stood out because of their sheer big and bushy scale. 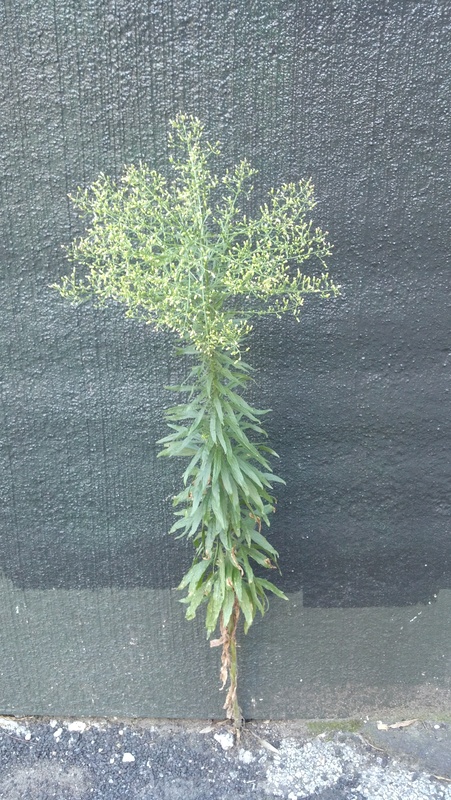 One is Marestail, Conyza candensis, which appears by its numbers, lushness, and size to be at its seasonal peak. 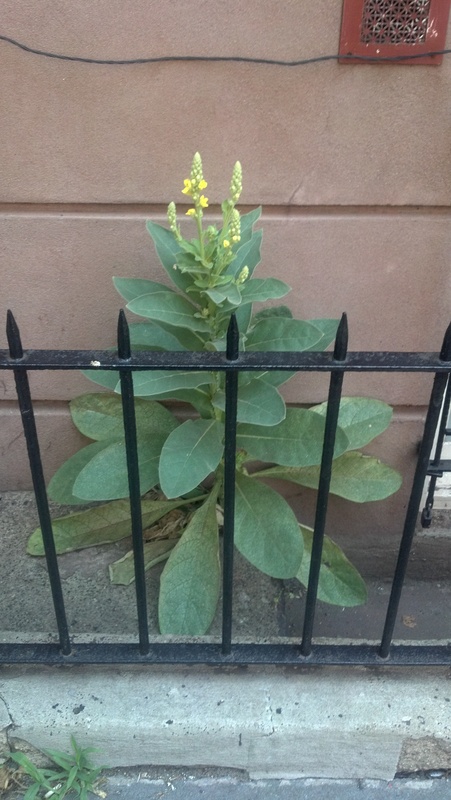 The other species is Common Mullein, Verbascum thapsus, a biennial that here must be in its second year of growth, as yellow blooms have begun to crown these stately plants. One especially attractive specimen is located just around the corner from my townhouse.